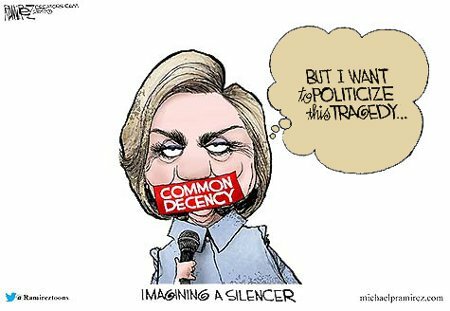 Yes, imagine if we had an effective means to put a silencer on pernicious things like Hillary Clinton and the other Leftwing, anti-gun, Democrat politicians and, in Hillary’s sad case, ex-politicians with delusions of worth and relevance. It’d be great if we had a means to enforce some level of common decency in the wake of a tragedy such as the Las Vegas massacre – some way to apply a silencer to them until some appropriate time has passed for shock, prayers, and grieving before they are allowed to start profiteering off the horror. This entry was posted on Monday, October 9th, 2017 at 8:28 am and is filed under Politics. You can leave a response, or trackback from your own site.